Posts tagged with "wwdc 2015"
Apple announced iOS 9, the next major version of its mobile operating system, at WWDC 2015 this week, with a focus on iPad productivity, enhancements to built-in apps, better intelligence, and improvements to performance and security. Part an iterative update aimed at refining missteps and missing features of iOS 8 and part a new beginning for Siri and iPad users, iOS 9 isn't the "Snow Leopard release" that some tech pundits were asking for. 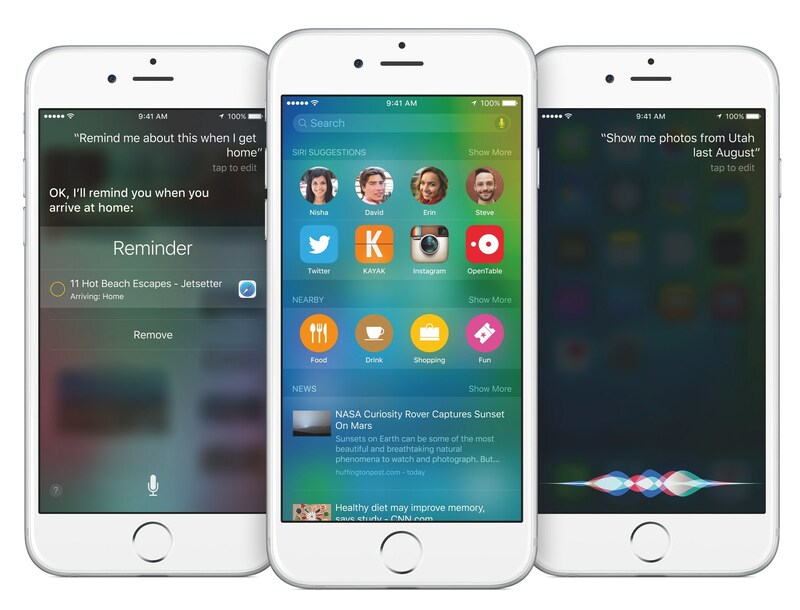 iOS 9 is building upon the foundation of iOS 8 with dozens of new features – many of which could profoundly impact the way we interact with our apps and devices every day. At today's WWDC 2015 keynote, Apple announced watchOS 2, the next revision of its Apple Watch operating system. Despite being announced only two months after the Apple Watch itself was released, watchOS 2 includes a multitude of powerful new features that have the potential to greatly improve the experience of the Apple Watch. 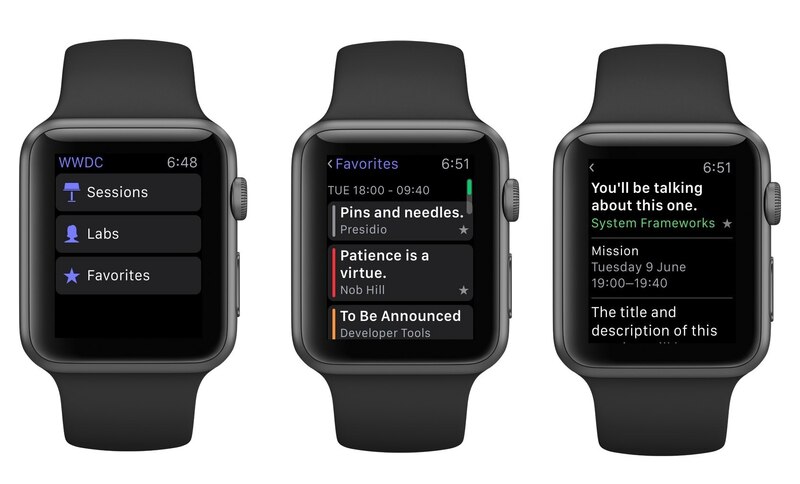 WatchKit, the development framework for Apple Watch apps, is seeing a huge update with watchOS 2. WatchKit apps are now able to run natively on the Apple Watch, meaning they no longer need to communicate back to the iPhone to get all of their information. This should result in huge improvements in the speed and efficiency of Apple Watch apps on launch and during use. 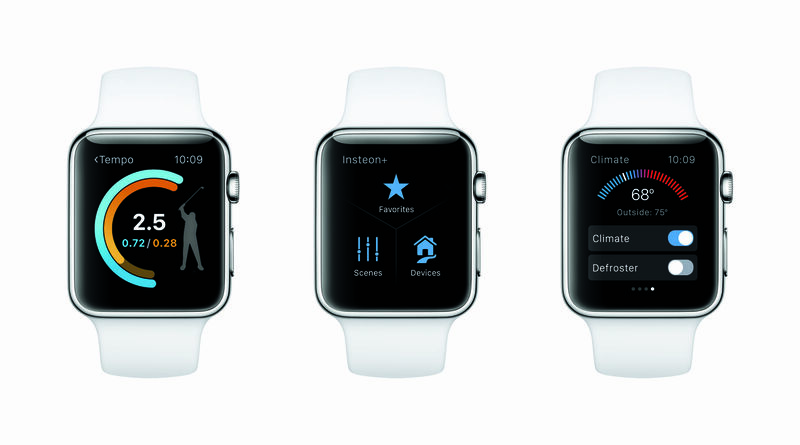 Furthermore, in watchOS 2, WatchKit apps will have access to the hardware components and sensors on the Apple Watch. Developers will be able to incorporate the Digital Crown, Taptic Engine, heart rate sensor, accelerometer and microphone into their apps. This will open up a whole new world for third party apps, giving them just as many abilities as Apple's built-in apps and letting them access the full set of features the Apple Watch has to offer. New to all Watch apps, Apple's included (with the exception of the phone app), WatchKit apps can now play audio and video directly on the Apple Watch, as well as run animations. Yes, this means using the built-in speaker for more than just taking phone calls. Every year at WWDC, Apple celebrates excellence in mobile and desktop software with the Apple Design Awards. Apple recognizes apps that demonstrate technical excellence, innovation and outstanding design to provide an immersive, fun, and compelling experience. These apps raise the bar in design, technology and innovation with rich functionality and high performance, taking advantage of the latest features in iOS and OS X to provide unique experiences that enrich the App Store and customers' lives. This year, Apple is recognizing "state of the art iOS, OS X, and Apple Watch apps that reflect excellence in design and innovation". After evaluating the broadest set of apps possible from the App Store and Mac App Store, Apple has picked this year's winners with a dedicated event at Moscone West on WWDC 2015 opening day. We have compiled the full list of 2015 Apple Design Award Winners below. This morning at Apple's WWDC 2015 keynote event, SVP of Software Engineering Craig Federighi took the stage to announce OS X El Capitan. The next major version of Apple's Mac operating system, El Capitan has two major areas of focus: Experience and Performance. 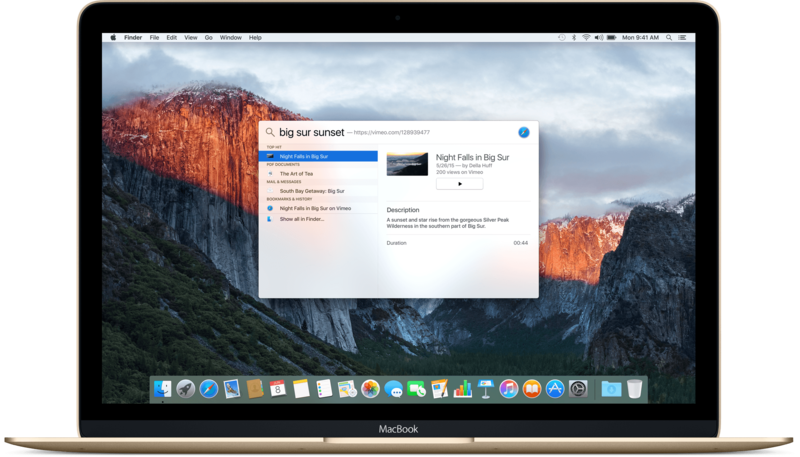 The improved experience in OS X El Capitan revolves around three main categories: Spotlight search, built-in apps, and window management. Spotlight search has greatly improved search functionality, making the feature smarter and more powerful by building in natural language processing and integrating it with more services. Now you can perform searches with phrases such as "big sur sunset," and Spotlight will surface videos from the web that show the sunset in Big Sur. Spotlight has also gained some other nice touches such as the ability to resize or move the spotlight window around on your screen and integration with weather, stocks, sports, transit, and the aforementioned web video. For those who didn't follow the live stream or announcements as they unfolded on Twitter and blogs, Apple has now posted the video of its WWDC 2015 keynote held earlier today at Moscone West in San Francisco. The video can be streamed here, and a higher quality version should be made available in a few hours through iTunes (on the Apple Keynotes podcast). To avoid streaming errors, Safari is recommended for the best viewing experience. Apple has also posted a film and a TV ad for its new music service, called Apple Music. Both are available on the Apple Music website. 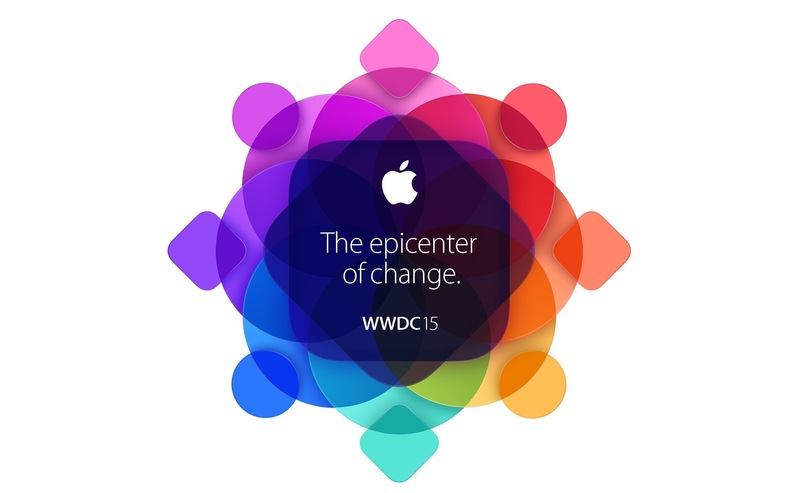 For more coverage, check out our WWDC 2015 news hub and follow @MacStoriesNet on Twitter for updates. Apple CEO Tim Cook walked on stage today and kicked off the company's 2015 Worldwide Developers Conference with his usual opening remarks, but the entire keynote was filled with interesting facts and statistics. From adoption rates to apps downloaded from the App Store, these numbers are interesting as they're typically shared throughout the year in dedicated events or press releases; at WWDC, Apple can provide a mid-year overview before switching gears to talk about new iOS devices in the Fall. We've compiled the most important numbers from Apple's WWDC 2015 keynote below. 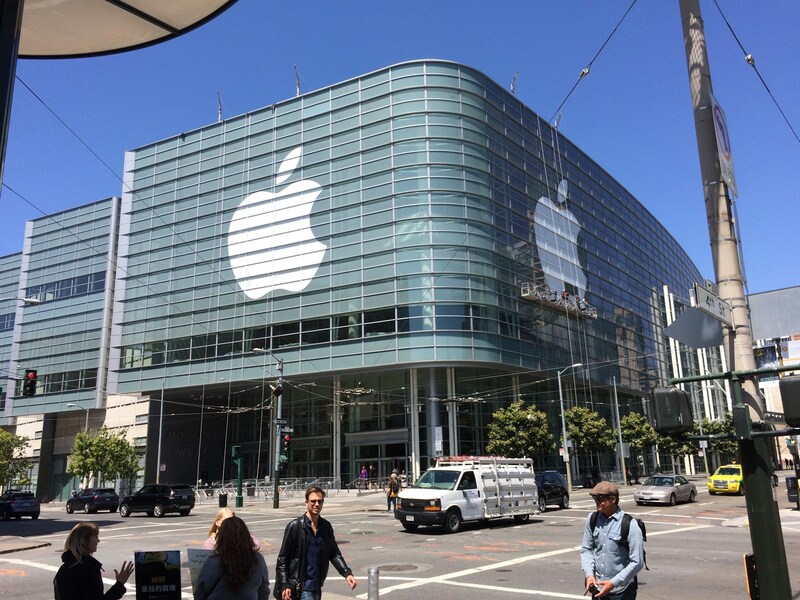 Apple has started decorating Moscone West in San Francisco for WWDC, kicking off this year on Monday, June 8. Every year, Apple decorates the convention center in San Francisco with different sets of banners: the ones matching the event's tagline and graphics already available on the WWDC website, and others showing the official (and previously unseen) logos of new versions of iOS and OS X. Apple is expected to introduce iOS 9 and OS X 10.11 this year, bringing improvements to last year's Yosemite redesign and, according to 9to5Mac, a variety of new features for Maps, multitasking, and HomeKit on iOS. Apple has begun decorating Moscone West with its logo earlier today, and, like every year, we're documenting the process with photos from San Francisco. With preparations now well underway, Apple will continue to decorate Moscone West with new banners in the next few days, possibly showing the official logos for iOS 9 and OS X 10.11. We will update this post with more photos throughout the week; new updates will be listed in reverse chronological order below. You can follow @MacStoriesNet on Twitter or our WWDC 2015 news hub for updates. Our thanks to the Workflow team for providing us with photos from Moscone West in San Francisco. Apple has today made their 'Apple Events' channel accessible again from any Apple TV (2nd or 3rd generation), ahead of next week's WWDC 2015 keynote. The Apple Events channel confirms that the keynote will be live-streamed on Monday, June 8 at 10am, San Fancisco time. For developers who want to follow along with the other WWDC sessions, Apple previously announced that 'select' WWDC 2015 sessions will be live streamed on the WWDC website and in the WWDC app. For those technical sessions that are not live streamed, Apple has said that they will be made available to stream and download at the end of each day. In the meantime, the channel also allows users to stream past Apple events (including WWDC 2014), just in case you've got some free time over the next week. For those without an Apple TV, in the past Apple (for other live streamed events) also hosted a live stream on their website, but that will probably go live closer to next Monday. You can also follow MacStories' WWDC 2015 Special Event hub for updates, or subscribe through RSS to our dedicated WWDC 2015 Special Event feed. With an update released today on the App Store, Apple has refreshed its WWDC app for iOS with the schedule for the upcoming WWDC 2015, improved audio playback, and an Apple Watch version. 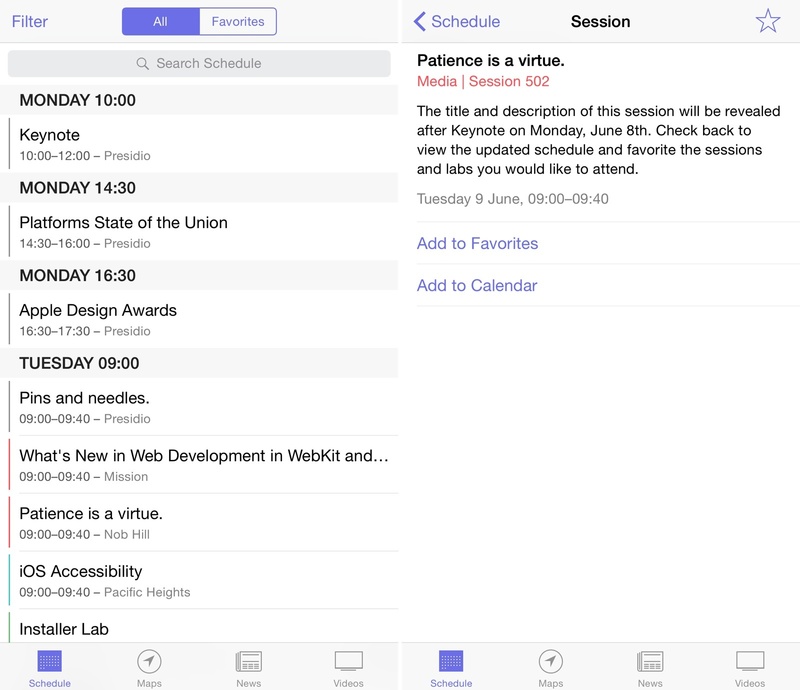 The app (now at version 3.0 and sporting a purple icon), includes a preliminary list of scheduled events and sessions such as the opening keynote on Monday, June 8, at 10 AM and the Apple Design Awards, which this year will celebrate the excellence in Apple Watch apps in addition to iOS and Mac software. On Apple Watch, the WWDC app will let you browse sessions, labs, and favorites, with the ability to view events and access information right from your wrist. The updated WWDC app is available on the App Store. WWDC 2015 is kicking off on June 8 and runs through June 12; as usual, Apple is expected to unveil the next major versions of iOS and OS X at its annual developers conference.